Wagatails provides a dog and small pet care service tailored to your individual needs and those of your furry friend. If you’re going away for a week or weekend and want to leave your pet in safe, reliable hands or if you need a regular walking service Wagatails can help. Covering Worthing, Broadwater, Durrington, Goring, Ferring, Findon and Rustington. Most dogs need 2 hours of exercise per day. This can be a challenge for working households or for those whose health prevent them from getting out and about. I offer a bespoke service for you and your pet usually in a 1 hour visit which can include a walk and any additional requirements such as feeding and / or administering medication. Walks are usually in groups of up to 4. Single dog walks are also available on request. A 30 minute visit can include feeding, letting out into the garden or a short walk, administering medications – a bespoke service is offered for your pets visit. Dogs, cats, rabbits, guinea pigs & most other pets can be catered for. Your dog will be cared for in a home with 2 cats and will fit into a daily routine that will include going out with other dogs and the occasional quick trip to the shops. They will receive a minimum of 2 x hour long walks each day. Day care runs from 8am to 6:30pm. Some shift patterns can also be accommodated in a bespoke service. They will have a comfy sofa to sleep on - if they can persuade the cat to move up! Going on holiday can be difficult and stressful when you have dogs. Feel happier about going away knowing you dog is not in kennels but staying in a happy home where they can receive all the care and attention they deserve. Your dog will stay in a home with 2 cats and up to 2 other dogs. They will receive a minimum of 2 x hour long walks each day and be treated as one of the family with lots of fuss and play time. You will be asked to indicate whether your dog can be let off the lead during walks. All dogs are required to be microchipped, insured, spade or neutered and innoculations must be up to date. A free home visit is offered for day care and boarding dogs giving you and your pet a chance to meet me and view the home they will stay in. It offers the opportunity to ensure your dog will settle happily and that they are suitable for home boarding with other dogs and cats. "Wagatails have been walking my dog for the last few weeks. I no longer worry about my dog while I’m out at work as I know she loves Karie and can’t get enough of her walks. The service I have received has been amazing and I have total trust that Shadow is in the best hands. I would thoroughly recommend Wagatails to anyone who requires a dog walking or boarding service." Wagatails - formed in May 2018, seeks to offer a safe, reliable and flexible service for you and your furry friend. All services can be adapted to suit the needs of the customer - and their owner. Our pets are members of the family and whether you're going away for 2 days or 2 weeks; you want to know you're leaving them in the best of hands, with someone who will care for them the way you do. Day care and boarding dogs live in a home they can treat as their own, where they will receive all the love and fuss they do at home. They will stay in a 3 bedroom house with a garden, a short walk away from several parks and a very easy driving distance from the south downs. A maximum of 3 dogs will be boarded at one time (4 small dogs could be accommodated from one family). They will also share the home with 2 cats. Smaller pets such as cats are more comfortable staying in their own home if you go away and these independent felines simply need a quick visit once or twice a day to feed and give them some fuss, as do rabbits, gerbils, birds and other small critters. Dog walks are adapted to suit the dogs and their energy levels - groups will be introduced to each other safely and allowed to make friends before they are let loose to play together. 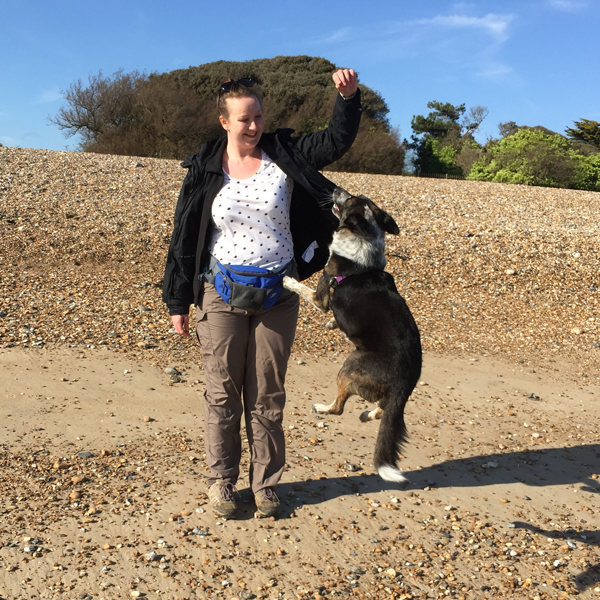 We will explore new walks together and your canine best friend will get outings in lots of different areas in West Sussex. It was my childhood dream to work with animals and Wagatails is the realisation of that ambition. I grew up with dogs and have always had them in the family; of all shapes and sizes from Rottweilers to Shih Tzu's, bouncy Boxers and the old family favourites - Labradors. I am qualified in pet first aid and can also offer some basic command training to your dog such as recall, loose lead walking, sitting, greeting with a paw, directing to bed or a quiet place and waiting for food. I am undergoing continual training in animal behaviour and dog training courses and the first aid qualification will be renewed annually. Prior to Wagatails I managed various teams whilst working in the Housing sector. I spent several weeks in early 2018 volunteering at a wildlife sanctuary in Namibia which reaffirmed my decision to pursue a new career working with animals. Wagatails is fully insured and registering with Arun Council and Worthing and Adur Councils adhering to their dog walker code of conducts. 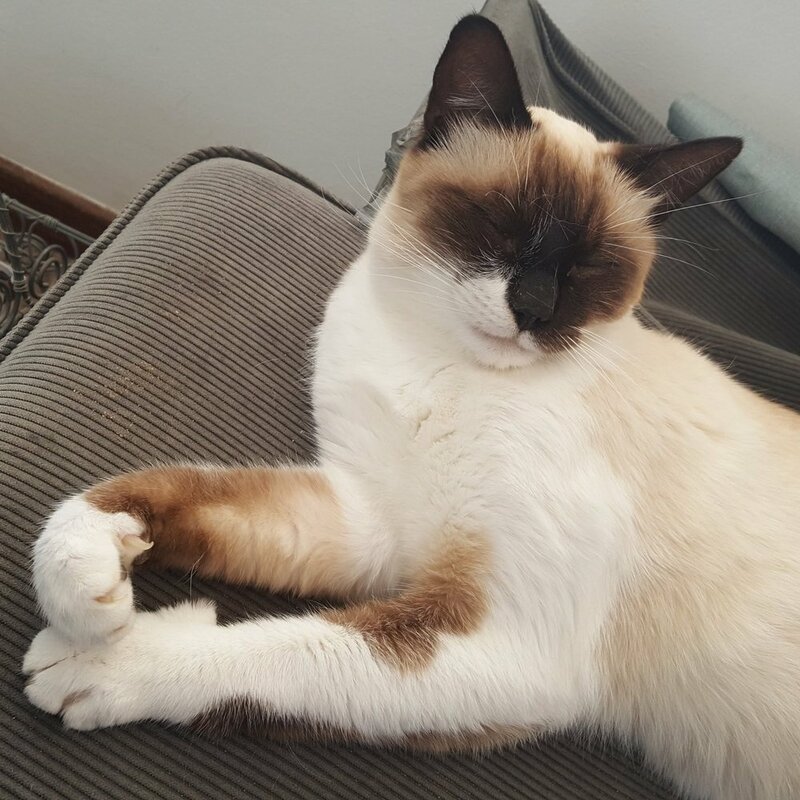 "Karie Standing is excellent with animals and I have been very happy with how she has looked after our two cats on the numerous occasions she has cat sat whilst we have been away. She doesn't just turn up, feed them and go but spends time with them making sure they are played with and given affection whilst we have been away. I wouldn't hesitate to recommend her for pet sitting." Dogs are walked in a group of up to 4. Visits can include feeding, giving medication, a walk or being let into the garden and lots of fuss. Cats, Rabbits, Guinea Pigs, Birds - they all need taking care of when you go away! A mileage charge may be applicable over a 2 mile perimeter. Free introductory visit – view the home and garden and ensure the dog will settle and is suitable for day care. Please enquire if you require unsociable hours shift work to be accommodated. Free introductory visit – view the home and garden and ensure the dog will settle and is suitable for home boarding. Your dog will enjoy a minimum of 2 walks per day and will come out and about with me. Please get in touch to discuss your dog walking or doggy day care needs! Call me on 07867 856 433, email kstanding@wagatails.org or fill in the form below and I will get back to you as soon as I can.